From my impression, I used to think that Burberry is for ladies and gentlemen (sign of maturity) and it baffles me why all my friends at the age of 18 would die for a Burberry trench coat. I personally seldom wear trench coat because I am not mature enough to handle it. 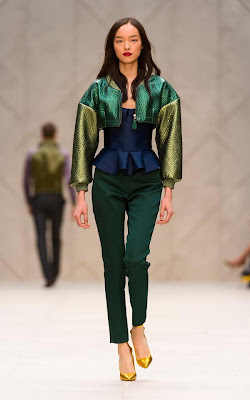 Until I followed Burberry Prorsum a year ago, it gives me a whole new impression towards Burberry. With no doubt Burberry is a leader of British fashion, the history, the style, and the iconic check, etceteras, prove the place of Burberry in the industry. The Burberry Prorsum Spring/Summer 2013 show during London Fashion Week gives some new fresh looks for summer. 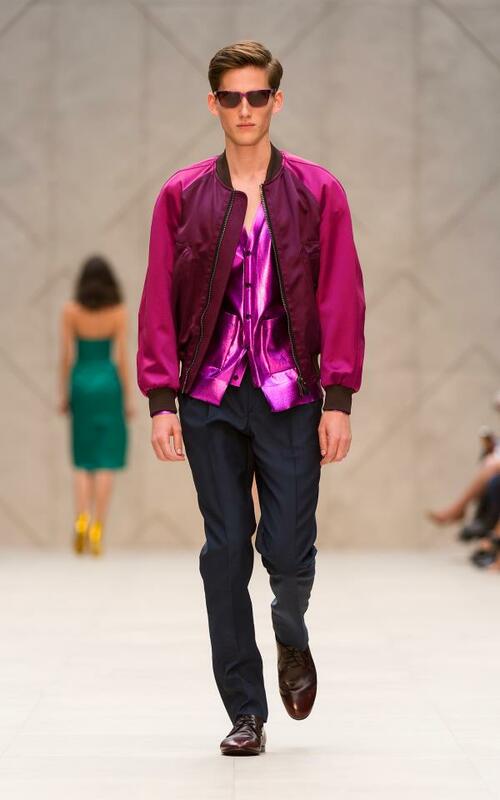 Metallic and bold colours are the keys of the collection and I really admire how Christopher Bailey brings the brand into a new level with such brave and wild designs. 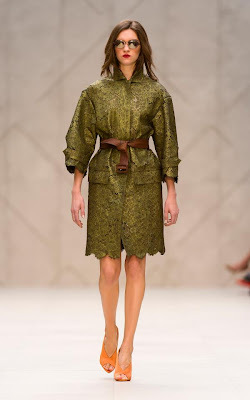 Different transformations of trench coats and how they used colours are magnificent. I really like the sleeves of the oversized coat. The colourful transparent bags are also one of the highlights of the show. The collection is such an eye candy for London Fashion Week. note: Fashion rule from Anna Dello Russo, "wear coat as a dress". These are all gorgeous outfits. They all looked amazing!